Every Honda owner knows the name “VTEC”, which is a signature valve technology in Honda’s engines. Although they are all bearing the same name, VTEC does not necessarily represent the same thing in different Honda engines. This article presents a brief description of how the VTEC technology has evolved and developed since its debut back in 1989 . 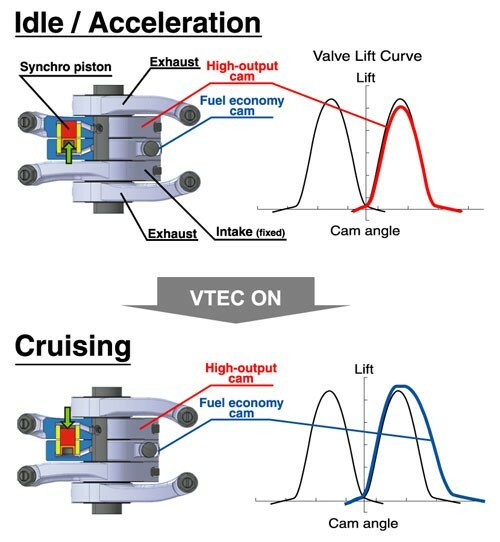 VTEC can be divided into two routes: VTEC applied on DOHC engines, and VTEC applied on SOHC engines. 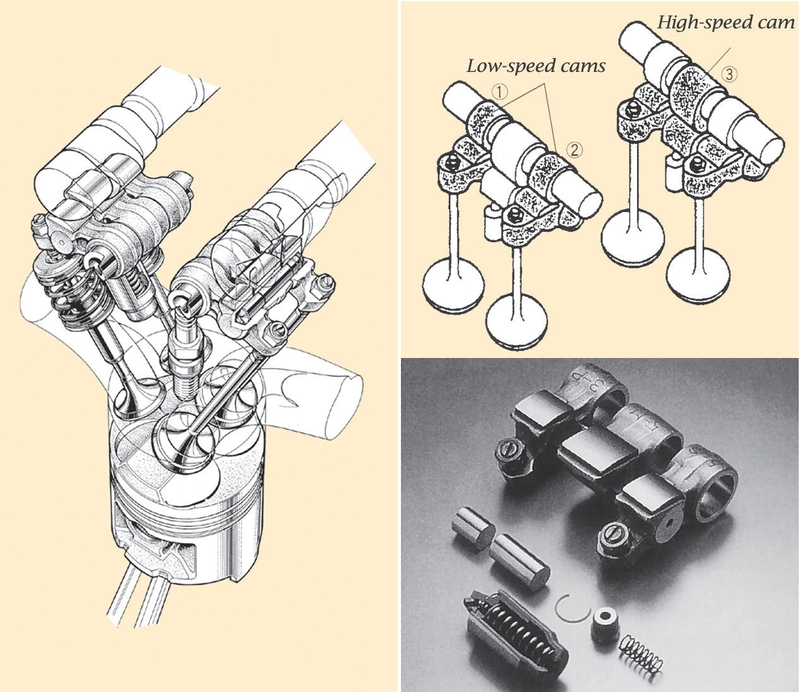 SOHC type VTEC is totally different: it uses rocker arms to manipulate the valves’ opening. 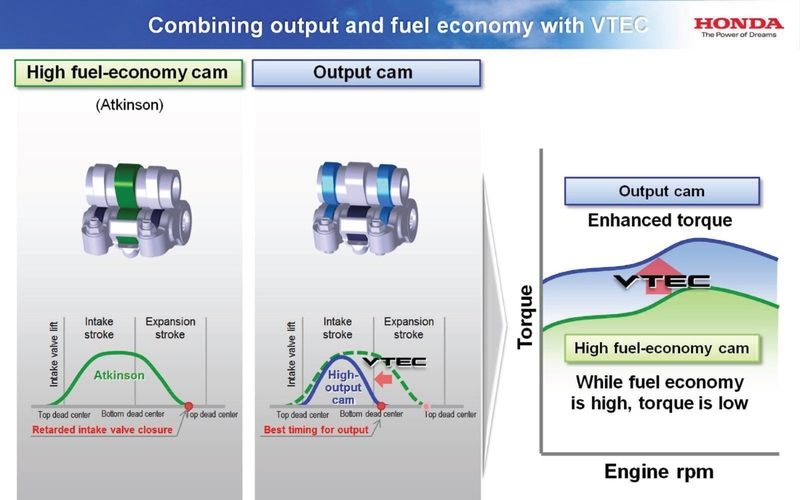 With that being said, although they are aiming at similar goals, VTEC on DOHC and SOHC engines are two totally different designs. 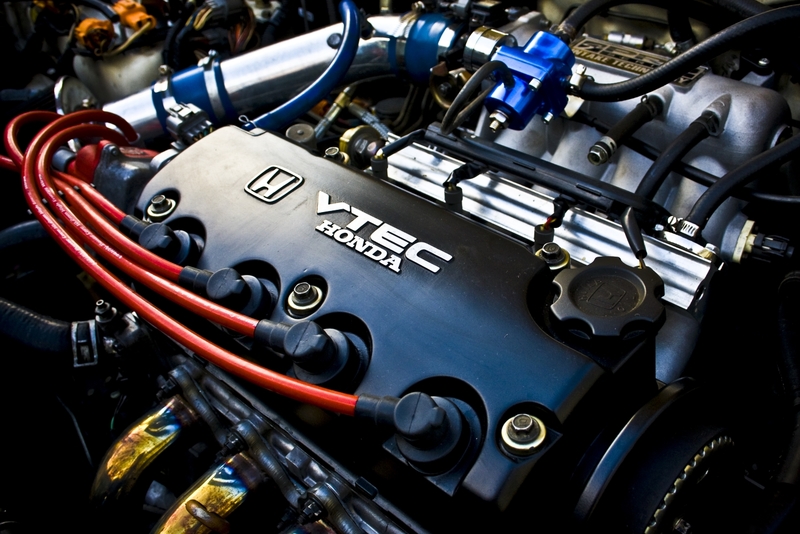 DOHC engines are VTEC’s most original application, its main purpose is to increase performance. On these engines, both its intake and exhaust valves receive a 2-stage VTEC, respectively. “2-stage” represents the low and high speed cams. The VTEC system is a cam-switching mechanism that acts like a step function, switching the low/high cams at a specific RPM. 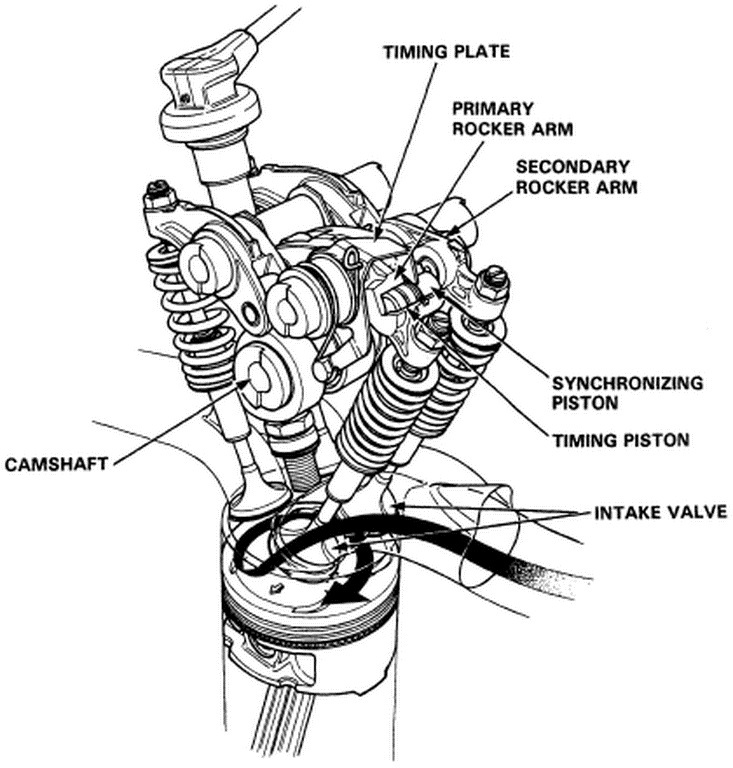 Initially, VTEC could only change the valve lift. 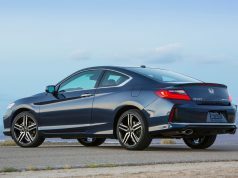 As its technology progressed, Honda added a cam-phaser to the intake camshaft so the timing of the intake valve is continuously variable. Honda named it DOHC i-VTEC. Note: there are different kinds of “i-VTEC,” and they serve totally different purposes. DOHC i-VTEC is just one type of i-VTEC. Honda continued to improve DOHC VTEC system, by adding direct injection to the DOHC i-VTEC system. The direct injection version is called DOHC i-VTEC i. Unlike Honda’s current SOHC direct injection system, the i-VTEC i places the fuel injector on the top center of the cylinder head. However it still belongs to the wall-guided type DI, not the more advanced spray-guided design. Although DOHC VTEC is for performance, i-VTEC i is for fuel efficiency only, it does not provide a material effect on performance. On the 2.4L engine (K24), VTC and VTEC is applied to the intake valve only; on this engine, VTEC implements the “true” low-speed and high-speed cams. Besides the Earth Dreams series, there is another latest advancements on the DOHC VTEC. 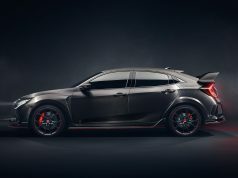 It is something similar to BMW’s Valvetronic system: Honda’s goal was to let the lift of the valves be continuously adjustable too (which makes both the lift and timing to be continuously variable), thus eliminating the need for a throttle body. This version is called AVTEC (Advanced VTEC). For some reason, AVTEC never went into production. 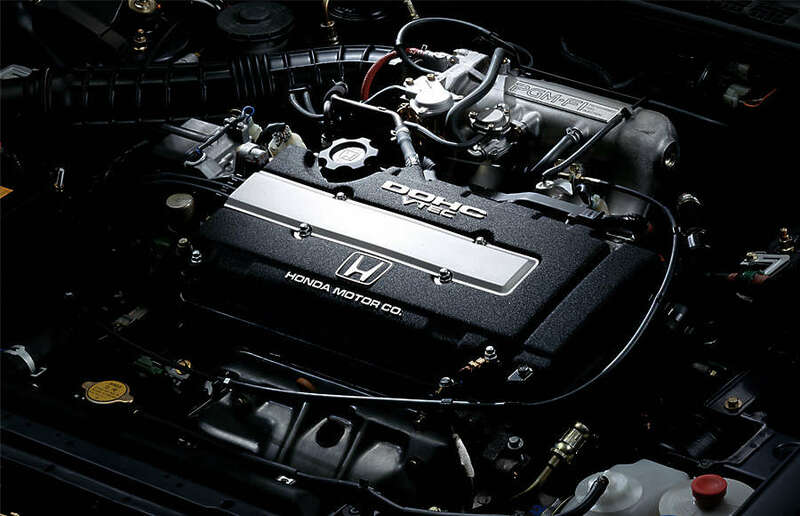 Although at the beginning VTEC was solely for performance, and thus was exclusive for DOHC engines, Honda worked out the design in no time and expanded its usage of the VTEC system on SOHC engines, which is common in Honda’s economy models. In fact after more than 20 years, SOHC VTEC has overtaken DOHC VTEC in the development progress, and leads to many variations that serve different purposes today. 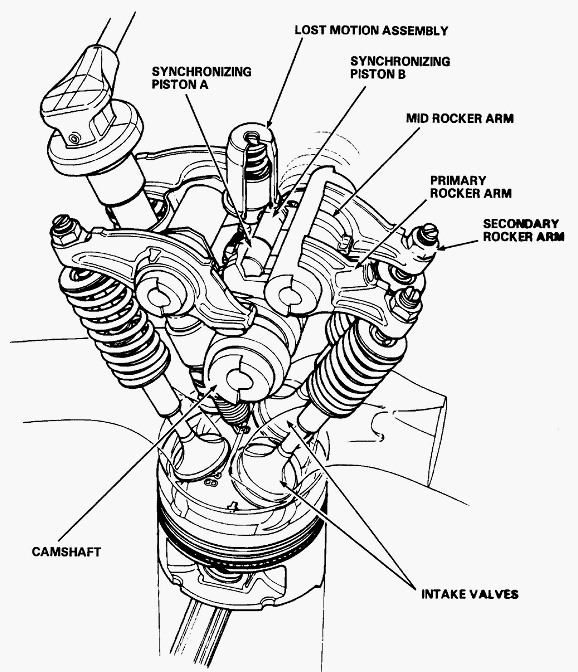 Due to packaging limitations, the earliest SOHC VTEC can only adjust the intake valve’s lift (Honda usually just put the word “VTEC” on the valve cover). Honda D16 engine (SOHC), showing VTEC label on its valve cover. Then came the first evolution of the SOHC VTEC: in low RPM range, each cylinder has one of the intake valves inactive, therefore the engine is working in 3V mode (1 intake + 2 exhausts). When needed, the VTEC can re-activate that intake valve, and the engine returns to the 4V mode. Honda calls this VTEC-E.
By deactivating one intake valve per cylinder, VTEC-E can achieve lean burn effect, obtaining better fuel efficiency. Please note: initially 4-cylinder engines with 3-stage VTEC only had VTEC functionality on its intake valves. However, Honda later engineered a new version of SOHC VTEC, which allows for adjusting both the intake and exhaust valves. Such VTEC is applied on the high-end J-series V6 engines (for example J37A4). Now comes the Honda V6 engines with a cylinder deactivation feature, called VCM (Variable Cylinder Management), which also (and is standard) with VTEC . 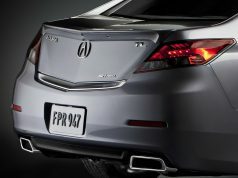 You can see it on almost all Honda/Acura with V6 engines. VCM with VTEC has nothing to do with what a “traditional” VTEC does. 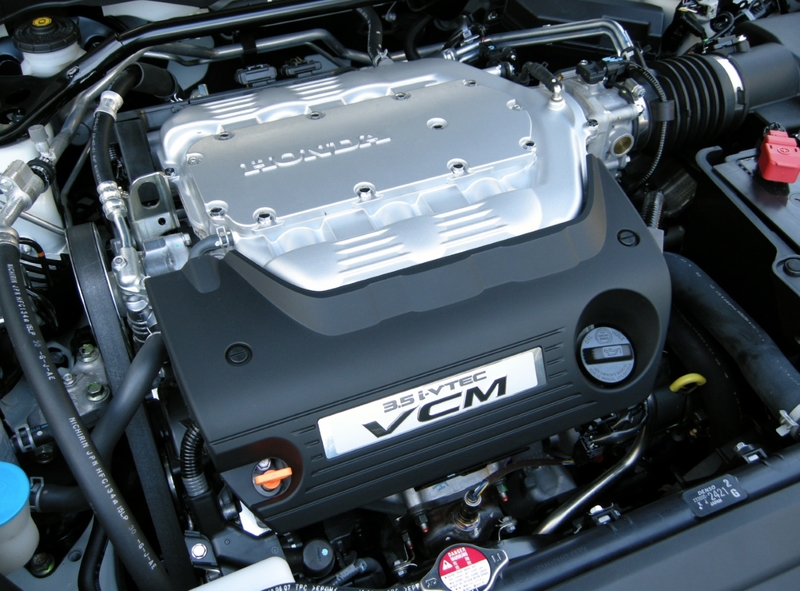 On a VCM V6, it uses VTEC to shut down 2 or 3 cylinders (so the engine can work at 6, 4 and 3-cylinder modes). Therefore VTEC on VCM V6 models is solely a cylinder deactivation technology, it will not adjust the valve lift to boost high RPM performance. In Honda’s terminology, it also calls VCM with VTEC to be i-VTEC, please do not confuse this with the previous DOHC i-VTEC. Although they both carry the “i-VTEC” name, they are fundamentally different. In other words, the latest Earth Dreams i-VTEC V6 has both cylinder deactivation + “real” (performance-oriented) VTEC feature. Now we have talked about 5 different types of i-VTEC: DOHC i-VTEC, Earth Dream i-VTEC (2 types: Atkinson, non-Atkinson), i-VTEC (on VCM V6) and i-VTEC (on Earth Dreams V6). There is a 6th type of i-VTEC. On Honda R-series 4-cylinder engine, it uses SOHC head, with a completely different type of i-VTEC: it does not have cam phaser (so valve timing is not continuously adjustable), and it does not deactivate any cylinders. The operation logic of this i-VTEC is completely different than the traditional VTEC, and operates in a reverse fashion. 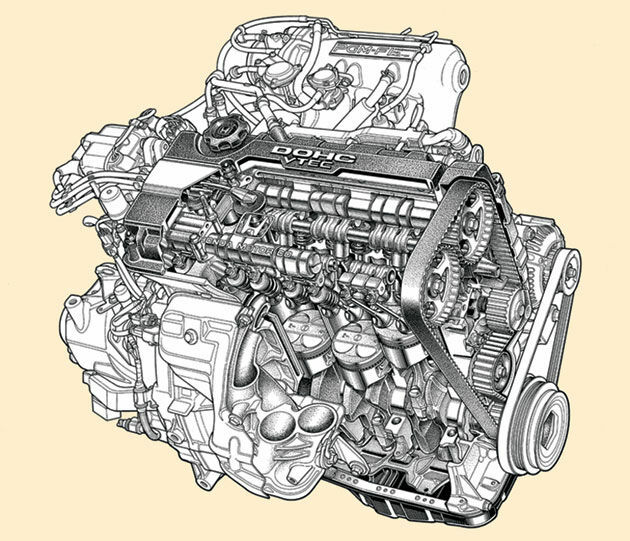 It operates like the above-mentioned Earth Dreams DOHC i-VTEC engines, but in SOHC packaging. In this R-Series i-VTEC, under low-load cruising the VTEC kicks in and uses a special-low cam, which will cause the intake valve to be opened during part of the compression cycle, adjusting the right amount of air needed in the following combustion stroke. Therefore the throttle plate can be wide-open, eliminating pumping loss. Under other situations (mid/high load, high RPM etc), it switches back to the normal cam (similar to the low-speed cam in traditional VTEC).